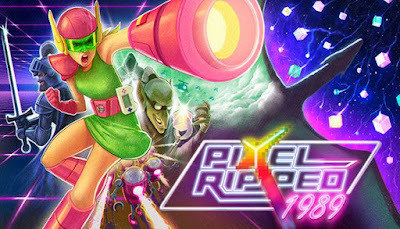 Pixel Ripped 1989 is developed by ARVORE Immersive Games Inc. and published by ARVORE Immersive Experiences. It was released in 31 Jul, 2018. Pixel Ripped 1989 is a wacky multi-dimensional homage to the early days of gaming. The player embarks on a journey into the screen of a classic videogame and beyond. Set in the era of portable 8-bit consoles, this game-within- a-game follows the adventures of Dot, an in-game character who sees her world torn apart by the Cyblin Lord, a villain able to break through the video game screen and invade the real world. In the game, the player inhabits Nicola, a second-grade student who must help Dot save both realities from this menace by facing challenges in the retrogaming 2D world, all while distracting the cranky teacher and escaping from the furious headmaster in her own 3D world..